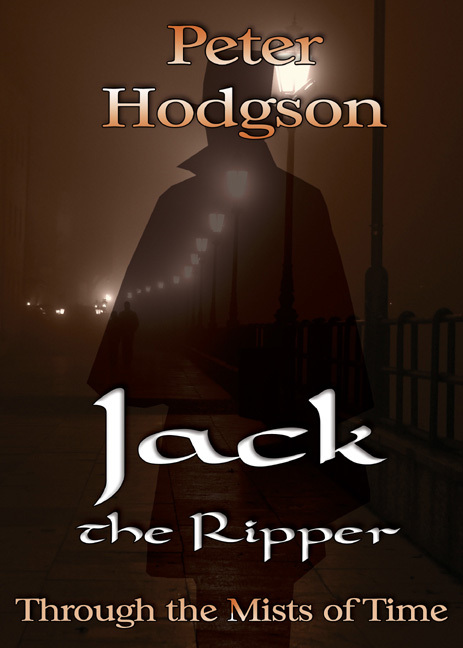 The e-book edition of 'Jack the Ripper' by Peter Hodgson is free on Amazon from 19, 20 & 23 June, 2013. If you haven't picked up any of Peter Hodgson's publications yet, this is a great opportunity to try one of them for free. "A well researched and entertaining chilling exposé of the identity of the ‘real’ Jack the Ripper"
Over a century ago a series of shocking mutilation murders took place in a squalid, overcrowded district of Victorian London. Five women fell victim to a man driven by rage and violent fantasy. The newspapers of the day gave him a chilling nickname, a name that evokes images of gas-lit foggy streets and a top-hatted sinister figure carrying a Gladstone bag. From the outset, the murderer attained almost mythical status merely by virtue of his name and his uncanny ability to avoid detection. The legend of Jack the Ripper was born. Peter Hodgson’s detailed and entertaining overview of Ripper lore in fact, film and fiction analyses the fiend’s awesome legacy. He explores the institutions and the individuals: the Jewish community and their rituals with meat, the scandal-prone royal family, the Victorian police and their simplistic methods of investigation, the streetwalkers and their trade. This book compares the fiction with the reality of those ghastly events, and clearly shows how the real killer has been transformed into a creature of the mind–the ‘other’ Jack the Ripper. Examination of the victims’ mutilations reveals the true nature of ‘Jack’s’ grotesque fantasies. This aspect–coupled with his elementary anatomical knowledge–is used in conjunction with the FBI’s appraisal of the case to construct a unique psychological profile. From the long list of candidates the author reveals his prime suspect for the role of the world’s most infamous serial killer. The People's Book Prize Competition Summer 2013!